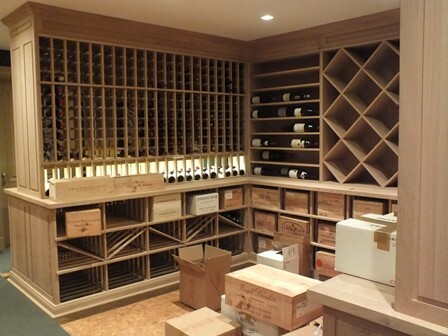 Water Mill, NY 9/13 – This 8,500 bottle cellar is from Genuwine Cellars, it is White Oak with a inlaid cork floor and leather wrapped columns. 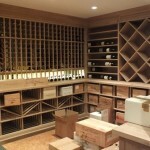 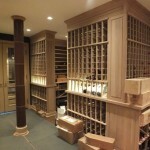 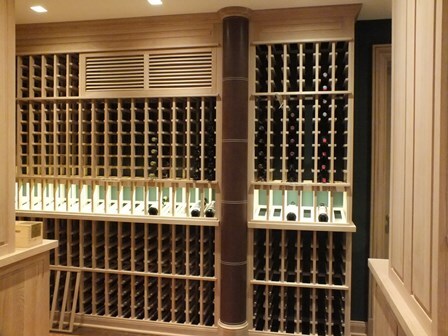 This cellar is designed to hold the owners vast wine collection. 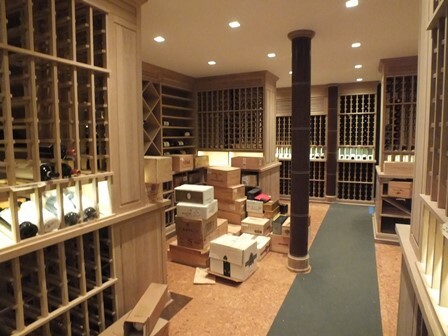 It consists of a separate Champagne Room, White Wine Room, Horizontal 1.5LT & 3LT racking on two walls with Diamond Bins and 5 & 6LT shelving. 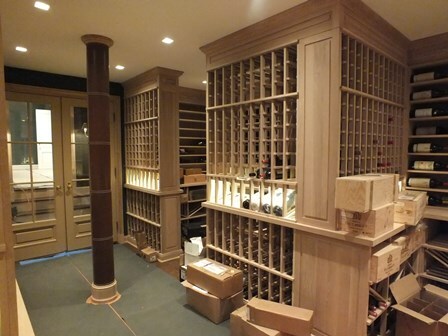 This cellar is temperature controlled by a Wine Smart twin condenser computer controlled, water cooled, humidity controlled cooling system.